In the middle of the dry Kalahari area, Ghanzi unexpectedly appears along the A3. A dusty town with a number of stores and supermarkets. Ghanzi is also called the capital of the Kalahari Desert because it is found at the heart of this large desert. You can stop here to briefly get supplies and refuel, but the town is also a great place if you want to spend the afternoon. Ghanzi is the ideal stopover on the way to Namibia and a good base camp if you want to visit the Kalahari Desert or the Kgalagadi Transfrontier Park. With your 4×4 car, you have the freedom to explore this impressive park yourself. Just outside the town is the Dqae Qare Game Farm. This Farm is definitely worth visiting and even staying the night. The Dqae Qare Game Farm is owned and run by the San (bushmen). It is a social business that supports the local San D’Kar community by providing work. 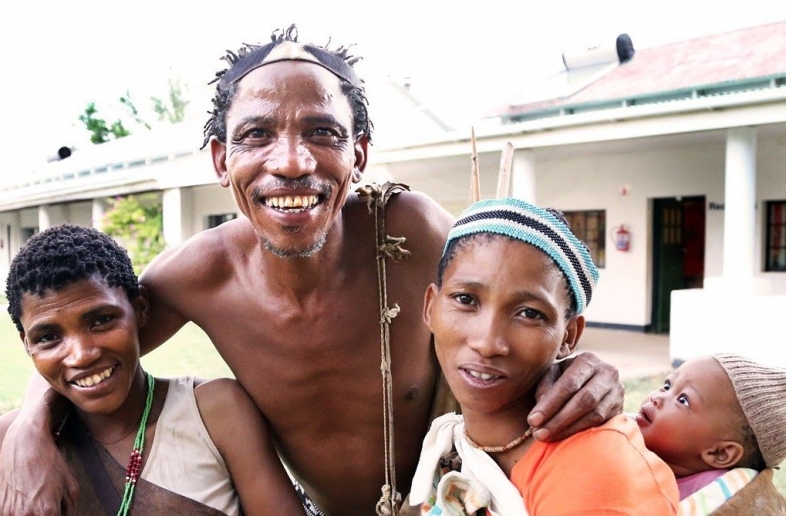 It has been an important project for the cultural survival of the San people. Here, the San are happy show you their culture and way of life. Various trips from Selfdrive4x4.com pass through Ghanzi.